KUCHING: Sarawak PKR wants the state government to stop the impoundment of Bakun dam immediately. The party wants the governemt to conduct a 'fresh and independent' feasibility report and environmental impact assessment (EIA) to re-evaluate the viability of the hydro-electric dam project. 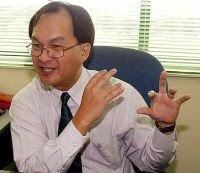 “This is in view of the problems brought about by the impoundment of the Bakun dam,” Baru Bian, chairman of Sarawak PKR told reporters. He said the impoundment of the dam had caused hardship to the people and destroyed the ecological system. He added that the Balui River which is the upstream part of the Rajang River had dryed up and marine life dying. “The Balui River (the upstreamd part of the Rajang River) is drying up. "We have received reports and complaints that river communications have been cut off, food rations, medical supplies and other essential services are affected. A lot of fish, especially the most expensive fish, the empurau are dying. “So we call on the government to immediately stop the impoundment of the dam as the relevancy and accuracy of the factors and data taken into consideration in the feasibility study and EIA reports conducted in the early 80s are now questionable and doubtful,” Bian said. He said the feasibility studies conducted 30 years ago had not taken into account the deforestation in the upper reaches of Sungai Balui which had inevitably affected the water retaining capacity of the catchment areas. Another glaring flaw of the EIA is the dry riverbed experienced now which could not have been anticipated, he said. Bian also warned the government not to proceed with the construction of the Baram dam project as it woul affect the people’s livelihood, longhouses and their lands will be much worse than that of Bakun dam. Some 25 longhouses, churches, schools and clinics will be affected by the dam which is expected to submerge 38,900 hectares or 389 sq. km of land. And more than 20,000 natives will have to be moved out and resettled, he said.